Home › FAQ › How Important are Extra-Curriculars on a College Application? 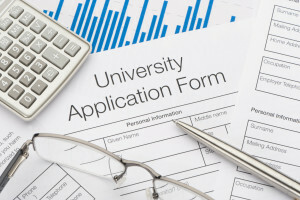 Colleges look at a number of factors when deciding who to admit to its programs, which is why many students wonder about the importance of extra-curriculars on a college application. Some students place too much importance on their grades and think that maintaining a 4.0 grade point average will get them into any college, but most schools want students who have more on their applications than just good grades. You want to think about the activities that interest you and which activities will look best on your application. Before you think about the importance of extra-curriculars on a college application, you might wonder what qualifies as an extra-curricular activity. Colleges refer to these activities as any clubs, teams or other activities that you participate in after school or on weekends. You might include the volunteer work you do at a local hospital or with a local charity. You can also include any sports you play both as part of a school team and as part of a team outside of school. Colleges also look at other activities, including drama clubs, debate teams and foreign language clubs. Guidance counselors recommend that students applying to college have a few extra-curricular activities on their resumes. Many colleges only have a set amount of space available for incoming freshmen and look for the best students to fill those spaces. While your grades are important, those schools also look at your scores on one of the standardized tests, the activities you do, your hobbies and interests and your general background. Having a handful of activities on your application shows that you are a more well rounded student who has interests outside of the classroom and that you will add something special to the campus. Far too many students think that they must take part in dozens of activities. Many college applications now ask that you list the amount of time you spend in each program, and some students take part in so many activities that it leaves admissions officers wondering how they have time to do their schoolwork. Instead of focusing on doing as many things as possible, focus on just a few activities that you feel passionate about. You might focus on doing volunteer work and playing one sport or joining one team and taking part in two clubs. Brian White of U.S. News and World Report, recommends that students begin looking at and taking part in activities as a freshman. During your sophomore year, you can focus down on the clubs, sports and activities that interest you the most. White also recommends that students list any jobs they work during their junior and senior years. White points out that rather than focusing on the importance of extra-curriculars on a college application, students focus more on highlighting just a few activities to show colleges that they have a real passion for those activities. Though your grades are important, colleges also look at your test scores, hobbies, background and the activities you do in and out of school. You may even find that those activities help you get into college despite having average grades. Make sure you understand the importance of extra-curriculars on a college application before sending off your application forms.